Quality craftsmanship, sturdy materials, and exceptional customer service from your trusted exterior remodeling company in Bowling Green. Choose Onyx Home Improvement for New Siding or Repairs in Bowling Green. If you’re in the market for new siding in Bowling Green, then look no further than Onyx Home Improvement. At Onyx Home Improvement, our goal is to provide Bowling Green and our neighbors in the surrounding communities with top-quality siding installation. Having siding installation you can trust is a big deal. After all, your home is one of your biggest investments and is need of top-quality protection. So don’t pick any less than the best. Call Onyx Home Remodeling for the personal touch, quality craftsmanship, and sturdy materials which will take your home’s exterior to the next level. We even offer a 10-year warranty on our services. Schedule your fast and free estimate today. 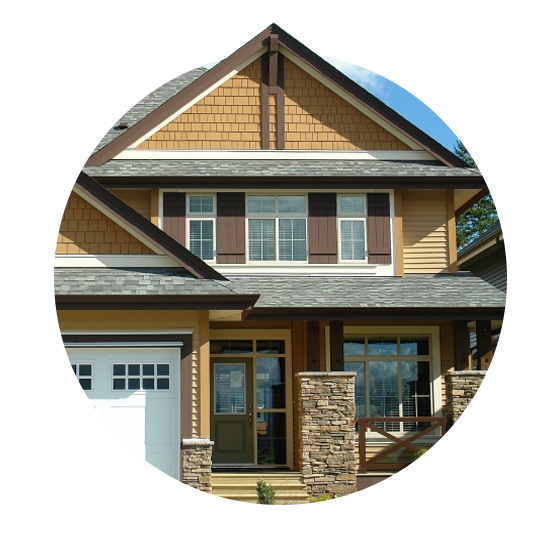 Why Should You Get Your Siding Done With Onyx Home Improvement? Your home’s siding does a lot more than just make your property look good. Siding prevents the sun’s UV rays from getting into your home, it protects your house from the wind and rain, and it provides a seal to block pests and unwanted animals from burrowing into your home. However, nothing lasts forever, and siding is no exception. If you’ve spotted mold, cracks, excess fading, or other damage to your siding, it’s time to contact Onyx Home Improvement, your experienced Bowling Green siding contractors. What are the Benefits of New Siding? Not only will new siding protect your home and look nice, but it can also help lower your energy bills. Installing insulation underneath your siding creates an extra barrier between the freezing or scorching outside world and prevents those temperatures from altering how you feel indoors. Imagine having your home a couple of degrees closer to a comfortable temperature, without having to even turn on the AC or heat. Many who choose new siding also enjoy decrease maintenance costs, as many siding options eliminate the need to paint your home or business. Finally, new siding increases your home’s value, allowing you to sell it for more. Even if you don’t intend to move for a few more years, new siding keeps its new appearance for more than a decade. Boost your curb appeal and enjoy improved comfort in your home. If you’re looking for new siding in the Bowling Green or any of the surrounding communities, reach out to our team today for a fast and free siding installation estimate. We offer specials for our new customers, so make sure to ask about them as well!